For a town of less than 15,000, Jackson Hole abounds in opportunities to dance. 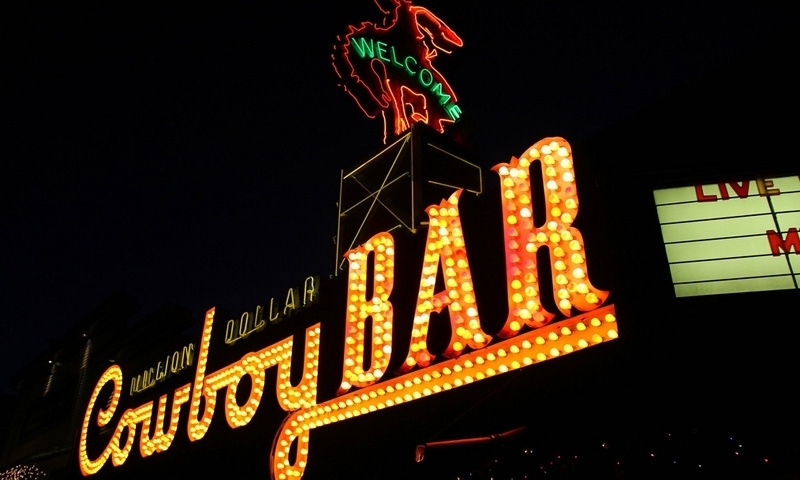 We tend to emphasize "cowboy dancing" in this quintessential Western town, but there's other styles here too. The two main venues for Cowboy dancing are the Cowboy and the Stagecoach. The Cowboy plays live country music six nights a week (less in the off seasons). Don't forget the free, hour and a half Cowboy Dance lesson on Thursday nights at 7:30. During the season, music plays Monday thru Saturday, starting at 9 pm, and bands usually play a two week engagement. Covers range from $2.00 to $5.00 unless you have a valid Teton County driver's license. 25 North Cache, on the Town Square, 733-2207. Sunday night at the Coach is a religion with many locals and it's one of the oldest musical traditions in town dating back about twenty-five years. It's the only gig in town for dancing on Sunday nights--blue laws require bars to shut at 10 pm except for four holiday weekends--and the famous and fabulous Stagecoach Band plays from 5:30 to 9:30. An amazing cross-section of people, definitely check it out. The dance floor is a challenge--it's small, crowded and linoleum. Thursday nights is Disco night starting at 9:30 and it's attracting a huge crowd. That's it, just Thursdays and Sundays. No covers. 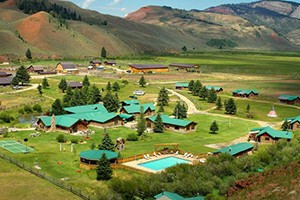 In Wilson (15 minute drive from the Town Square at the base of Teton Pass into Idaho), 733-4407. The Moose is a nationally, well-known aprs-ski venue. They book a variety of progressive, lively, non-country, touring groups (including some well-known groups), appealing to the twenty-something crowd and tourists, usually for a two-night gig. Covers are in the $6 to $12 range with lots of freestyle/rock & roll dancing. Occasional bigger names will garnish covers pushing the $20 range, and the atmosphere may turn a bit more concert-like. 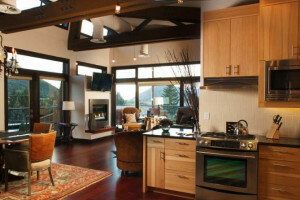 3285 West McCollister Dr., Teton Village (at the big ski area, about a 20 minute drive from the Town Square), 733-4913. How can I dance like a Cowboy or Cowgirl? There are no dress codes, anything is acceptable and you'll see the full range from shorts and sandals, to jeans/t-shirt/sneakers, to cowboys who looked like they just got off a horse, to cowboys who looked like they just walked off a Hollywood set, to tie and jacket (very little of that, thank heavens). The exception would be some special events where cowboy attire is encouraged, but not mandatory; and theme dances, such as Disco Night at the Stagecoach, where adventuresome folks dress the part. For cowboy dancing, your best shot is the free Thursday night lesson at the Cowboy from 7:30-9pm; or the free Monday night lesson at the Jackson Lake Lodge (in the Park) from 8-9:30pm. If you're a woman, theoretically you only need to know how to follow--relax completely, don't anticipate any moves, go where your partner guides you. An average night at the Cowboy will have any number of local dancers that would be happy (sometimes too happy, if you get my drift) to give you a lesson on the spot--how you catch their eye is up to you. For a guy, you can't fake formal dancing so I suggest you dance freestyle/rock and roll. If you're adventuresome and want to try a more formal style, I suggest you move towards the center of the dance floor away from traffic and just rock back-and-forth to the music, from left foot to right foot and back, staying on the beat--effectively a one-step (add Latin hips and you've got a Meringue). Trust me on this one: all the fancy dance moves in the Universe look like poop if you're off the beat, so just strive for a simple one-step, on the beat. There is one piece of etiquette that I hope you burn into the back of your hand so you can always see it. With much of the cowboy music you "travel" by dancing in a counter-clockwise direction around the perimeter of the dance floor. That is, if you're doing a stationary dance (such as the Western Swing or freestyle/rock & roll) at one of the country bars where folks are Two Stepping in a circle, get the hell away from the edge of the dance floor or you will have couples bumping into you about every ten seconds. And, if you're traveling with a Two Step and want to try a series of moves that will slow you down, get out of the flow of traffic by taking a couple of steps towards the center, do your thing, then rejoin the flow. If you're dancing with a more formal dance crowd, it is good etiquette to always dance when you are asked (limiting yourself to one dance would be the appropriate way to show disinterest). If you are dance savvy and chat with locals about dancing, please note that there are regional differences in technique and nomenclature.